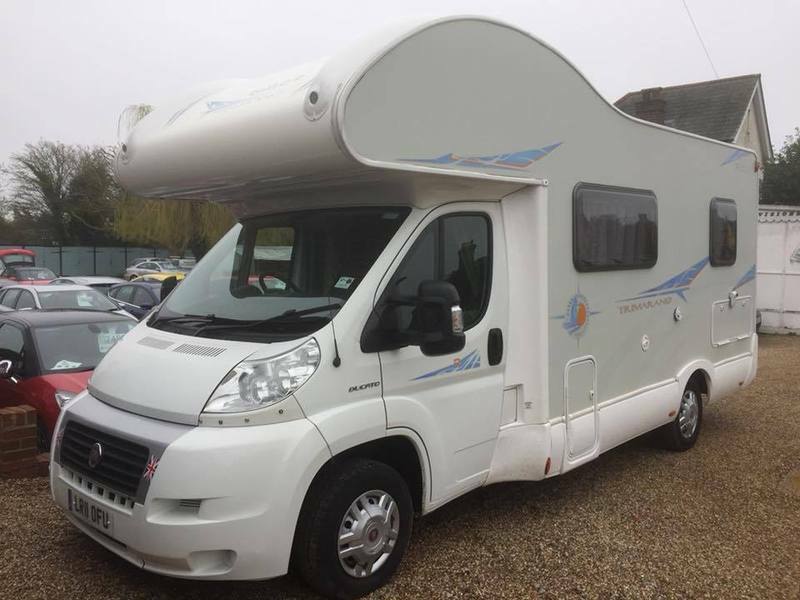 Hob, Fridge Freezer, CD Player, Radio, TV Aerial, Toilet, Shower, Fixed Bed, Overcab Bed, 6 Berth, Cab Air Conditioning, Reversing Sensors, Bike Rack, Heating, Cruise Control, Rear Belts, Dinette, Side Kitchen, FSH, LOW RATES OF FINANCE AND FREE NATIONWIDE DELIVERY! All Our Vehicles are Carefully Selected and Prepared to the Highest of Standards. Full Dealer Facilities, Including Warranties, Low Rate Finance Subject to Status, Free HPI Check and Fully Detailed Report Certificate, Pre-delivery Valet, Service and Inspection. Members of The Retail Motor Industry Federation.